The prevention of death is a fine ideal, but the prevention of disease is still finer. A rigorous application of Dinacharya and R’tucharya (seasonal regimen) reveals that all health guidelines beginning from waking up early in the morn­ing, until bedding aims at health with good complex­ion, stress free life, good oral hygiene, good healthy hair growth, rejuvenation of the body etc. 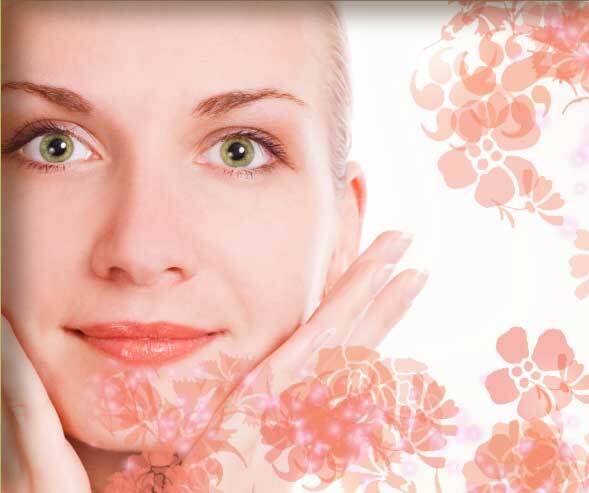 Following measures can be implemented for maintaining the Healthy and glowing skin. Vayu dominates in the tactile sensory organ and this sensory organ is lodged in the skin. The massage is exceedingly beneficial to the skin, so one should prac­tice it regularly. It makes skin smooth, flabby, strong and charming. By applying oil massage regularly the onslaught of aging is slacken. One who applies tila taila or other medicated oil on his head regularly doesn’t suffer from headache, bald­ness, graying of hair nor do his hair falls. Strength of his head and forehead is specially enhanced, his hair black, long and deep rooted, his sense organ work properly, the skin of his face becomes bright. Apply­ing oil on head produces sound sleep. By regular massage roughness, dryness, fatigue and numbness are instantaneously cured; eyesight becomes clear, vitiated vata relived. Prevention of sciatica, cracking of feet, constriction of vessels and ligament of feet is ensured. Rubbing body with clean cloth eliminates bad smell, cures heaviness, drowsiness, itching and removes un­desirable dirt and sweating. Various drugs were used for udvartana karma for cleansing the skin and improve the glow on the face and the body. Udvartana also helps in reducing body weight or the peripheral body fat. Eg. Kolakulatthadi Churn’a, Eladi Churn’a. 4) Bathing: Daily bathing is purifying and libidinal stimulant. It re­moves fatigue, sweating and dirt. It brings about strength in the body and is an aid par excellence for the en­hancement of Oja. In skin disease bath with medi­cated water is useful, e.g. Bath with decoction of Sidharthak choorna, Aragwadhadi choorna or Neem leaves etc. Application of medicated paste on the body re­moves bad odour, improves the complexion, tones up the skin and also gives pleasant smell to the body. Application of lepa varies from season to season and according to various skin diseases. Lepa should be selected according to the season and once Prakriti. Cold Season Agaru, Kasturi etc. Hot season Chandana, Usheera etc. Rainy season Chandana, Kesara, Kasturi. Apart from the above-mentioned factors, following factors are also having equal importancein in keeping the skin healthy. It should be balanced and digestible. A fair amount of proteins and vitamins are essential. The daily diet should contain liberal helpings of meat, eggs, milk and its products, butter, green vegetables and fruits; concentrated, starchy food should be avoided. “Satwik” diet is the answer. Spices, condiments, tea, coffee and alcohol should be consumed as little as possible. They produce a sense of heat, hence predisposition to allergic conditions and dermatoses. Occasional fasting is good for health. It is very true that foot massage is very important with beauty treatments. Thank you for the great article.